Yesterday (14 January), Italy’s deputy prime minister and Five Star Movement leading figure Luigi Di Maio travelled from Italy to Strasbourg by minivan to kick off the party’s campaign for the European elections. “Today we are starting on a long road leading up to 26 May [day for the elections], when we will bring some colour in this grey Europe,” said Di Maio in a video message shared on social media. 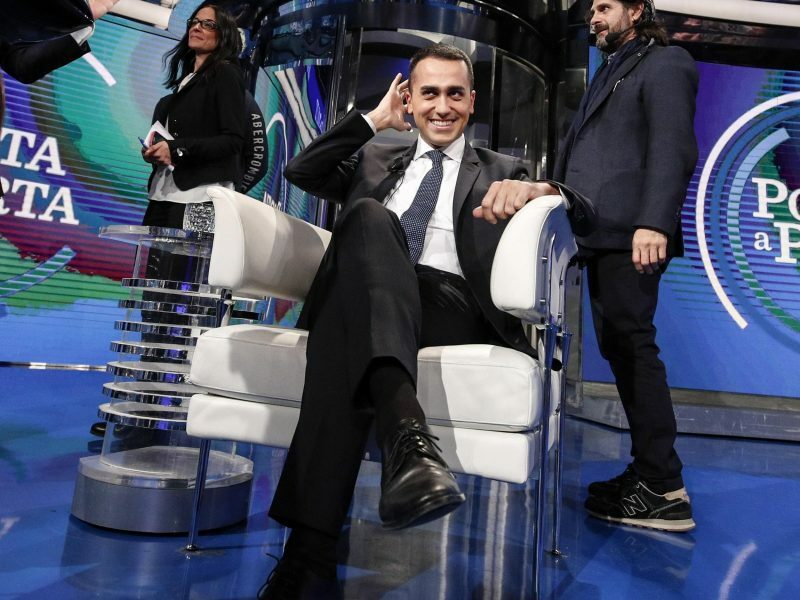 Di Maio travelled with Alessandro Di Battista, a former Italian MP highly influential on Five Star Movement’s voters, who took a break from politics almost one year ago but is expected to be a key campaigner for the party during the elections. 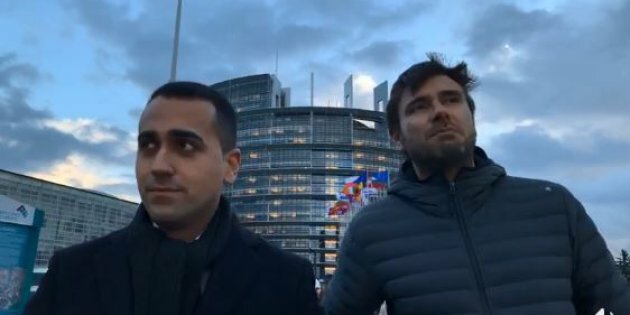 During the road trip, both Di Maio and Di Battista used Instagram stories to answer questions of party’s activists and followers. Only a few journalists had been informed of Di Maio’s intention to have a quick Q&A outside the Parliament. However, he did not enter the Parliament, saying that he did not even know the agenda of the plenary. “What you see is not only a waste of money but also a symbol of arrogance coming from those who waged war against us on the Italian budget,” said Di Maio pointing at the Parliament at his back. As anticipated by EURACTIV.com in an interview with a Five Star Movement MEP, its manifesto will focus strongly on cutting political spending. The savings should be allocated to programmes that benefit European citizens, the manifesto will say. Di Maio also pointed the finger at France, which benefits economically from hosting the assembly, in an attempt to use the same anti-French rhetoric that its coalition partner Lega uses to get votes. Although allies in Italy, Five Star Movement and Matteo Salvini’s Lega will be competitors during the electoral campaign. But other Italian MEPs were quick to criticise Di Maio’s road trip. The socialist Patrizia Toia described Di Maio as “a tourist in Strasbourg”, while the centre-right EPP deputy, Lara Comi, said that MEPs have been campaigning to scrap the Strasbourg seat for years. “I believe there are the numbers to build a European parliamentary group neither right nor left,” Di Maio said. The Five Star Movement has already convinced Poland’s right-wing Kukiz’15, Croatia’s populist Zivi Zid and Finland’s liberal Liike Nyt to join a political group which it plans to form in the European Parliament after the May elections. There appears to be no chance of the Five Star Movement’s MEPs joining a “traditional” political family. An spokesperson for the liberal ALDE group confirmed to EURACTIV that “no common plans” are put in place with the Five Star Movement, while a Greens spokesperson confirmed that they won’t talk with them since they are in government with Salvini’s far-right Lega. For once I actually find myself agreeing with Di Maio. The Brussels – Strasbourg toggle is a ridiculous oddity that undermines the credibility of the whole European project. Macron should show that he s serious about his waving of the Blue Goldstar and give up on Strasbourg. European Parliament in Strasbourg is a waste of resources. If France really wants a major European instituition in its territory, let Strasbourg be the seat of a future European Army’s headquarters. It’s connected to most of the continent through the Rhine-Main-Danube Canal and Eurocorps is already installed there. I know Strasbourg has a symbolic meaning, ‘Where they once fought, they now talk’, but ‘Where they once fought each other, they now stand side by side’ sounds just as great.